Ik Chin Travel Service (K) Sdn Bhd is one of Sarawak’s leading travel & tour agencies. The company was established in 1983 with approval from International Air Transport Association (IATA) and licensed by Kementerian Pelancongan Malaysia(Ministry of Tourism Malaysia). A full pledge travel agent involving in airlines ticketing, inbound travel and outbound services. 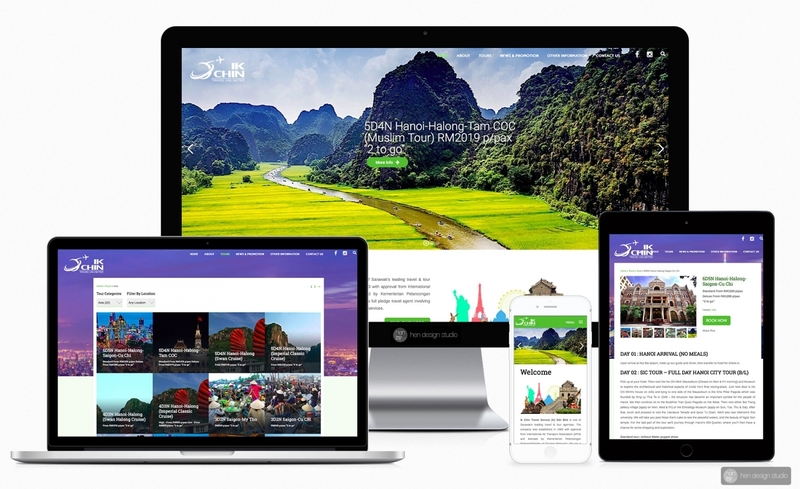 Client want their website looks modern, with wow factor and attractive content, easily filter option for tours, with proper tours listing that able to let user book tour online. Book tour online, without online payment at the moment, but possible to add-on in future.